Tristan Cotter is a software sales leader with over 10 years’ experience selling everything from consulting research to software-as-a-service software. Currently he is the vice president of global sales for GoCanvas, a mobile platform that makes it simple for business to automate how work is done replacing outdated processes and expensive paperwork. At GoCanvas, he’s almost tripled the size of the sales force over the past year which has led to record breaking revenue performance and growth rates while helping improve the customer experience leading to improved retention and expansion. Fred Diamond: Tell us a little bit about what you sell today and tell us what excites you about that. Tristan Cotter: If you really boil it down, what we do is help businesses better collect information, automate their workflows and processes here at GoCanvas which has a ton of benefit and value to companies of all sizes, in particular small and mid-sized organizations. We allow them to get more done which allows them to do both have the ability to save time and also make more money which everyone loves, while giving them better business insights which then allows them to connect better with internal colleagues and being able to better engage more effectively with their customers which pretty much every organization’s looking to do. 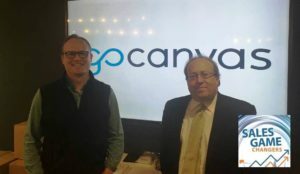 Fred Diamond: Just as a quick note, we’re doing today’s podcast broadcast from the offices of GoCanvas in Reston, Virginia. A lot of energy out there on the sales floor. Tristan Cotter: Yeah, it’s fantastic. Anytime I’m having a tough day or I get out of a long meeting, the first place I go back is to what we call the sales pit which is where everybody sits in the back corner and you can just feel the energy as soon as you go back there and it’s like plugging in to just a quick zap. Fred Diamond: Very good. Why don’t you tell us a little about your career? How’d you first get into sales as a career? Tristan Cotter: I’m probably a pretty classic tale that you’re going to get a lot of. A marketing major in college because there wasn’t such thing as a sales major at that time which I love seeing that change that we’re starting to see within the academic circles. A lot of these sales courses and sales majors that are popping up across the country. I had an influential sales professor at the University of Arizona and it struck me at that point that I might be interested in pursuing that a little bit further. And I got an intro and the rest is history and that’s how I got my first job. Fred Diamond: That was at CEB? Tristan Cotter: At CEB, yeah. Fred Diamond: What were you doing? Tristan Cotter: I did the entry level sales role, it’s classic to most people’s sales career beginning, a business development associate role scheduling demos for the full cycle sales reps.
Fred Diamond: Very good. We actually have had a couple of past CEB people on the Sales Game Changers podcast: Vineeta Mooganur, we’ve had Heather Combs, Steve Richard, Reed Fawell has been on one of the episodes. It seems like a great breeding ground for some of the top sales performers in the mid-Atlantic region. Tristan Cotter: Absolutely. I couldn’t recommend strongly enough the foundational skills that a place like the Corporate Executive Board can provide and has launched and been a spring board for countless sales executives across the DC metropolitan area and beyond. Fred Diamond: What are some of the things that you learned there? What are some of the things you learned in your first few sales jobs that eventually lead you here to become the VP of global sales for GoCanvas? Tristan Cotter: I think the #1 thing that you learn at a place like CEB early on is the importance of hard work and discipline, and it’s about doing the little things right every day that add up. It can be quite a grind as everyone knows and that’s really where I learned. After I left there, you have this institutional knowledge ingrained in you and the foundational skills that you need from prospecting and from objection handling but I think really the thing that sticks with me to this day that I learned that’s been the greatest takeaway has been just the importance of hard work and the discipline of doing the things that aren’t glorified on a day to day basis that ultimately add up to the bigger success points. Fred Diamond: What might some of those things be? Tristan Cotter: Showing up early, staying late, managing your day and your white space effectively, carving out the right amount of times to prospect when there may not be as many time zones available to call into, managing strategically time zones, areas in the day where you might hit all three time zones – central, eastern and pacific if you’re focused on a North American territory – all those types of things I think are not the parts of sales that anybody particularly enjoys. Everyone likes when you close the deal, you’re slapping high 5’s but all the hard work is really done prior to that moment and those are the things that really add up to make the difference between a core performing and a high performing, a low performing sales rep in my opinion. Fred Diamond: Very good. We’re going to talk a little bit about that as we progress, but tell us a little bit about what you specifically are an expert in. Tell us a little more about your area of brilliance. Tristan Cotter: Those two words, expert and brilliance, especially used in a way to self-describe yourself makes me cringe a little bit. I say two things that are my areas that I’m relatively strong at, though, are people and process. Areas that I focus a lot of my energy and time on is from a people perspective attracting and retaining great people to join our team and then to make sure while they’re here they’re feeling motivated and that this is a place they can grow. The second thing is process. What are the things that our best reps and people in our team are doing that are predictable and scaleable and repeatable. Fred Diamond: Talk about the retaining side, there. What are some of the things that you’re conscious of as a sales leader to ensure that your best people are going to stay here? There’s a lot of competition, you guys have to grow so what are some of the things that you’re conscious of that you try to do? Tristan Cotter: I think one of the things – and we have a majority millennial work force in sales team – one thing that I’ve learned as being one myself and seeing from great organizations prior to coming here, CEB, Vocus, Social Tables, each one of these organizations had very clear career path and opportunities and I think that’s the #1 thing around the motivation for young professionals, is more so than money is that they can see a path that they can professionally grow and that they see that they can do this here and that they’re constantly evolving and learning new things. One of the things that I’m constantly thinking about is what are the motivations for each person on my team and what do they want to do next and how does being here and the things they’re doing on a day to day basis lead towards that and are they feeling like they’re constantly being challenged in working towards and growing. I think if they are, they’re not looking, they’re turning down those calls and all the LinkedIn messages from other groups. As long as you can provide a place where someone feels they can be successful and they can grow, I thing you have a great opportunity to retain and have a lot of loyalty within your group. Fred Diamond: Very good. It sounds like you’re also doing some mentoring towards them, kind of giving them some career guidance. I like where you just said you work with them on an individual basis to help them understand what their growth options would be. Tell us a little bit about some of the successful and impactful sales career mentors that you’ve had. Tell us a little bit about how they impacted your career. Tristan Cotter: I’ve been fortunate, the places I’ve gone prior to here, there’s been really strong leaders in place and folks that I’ve been able to gain a lot from starting with Cathleen Butler who is the first rep that I scheduled for who took me under her wing and taught me a lot directly. Kevin McCartney at Social Tables helping groom me to lead a larger team and then at Vocus it was full of them. It was a great organization in terms of layers of mentors that were available and something they focused heavily on. All the managers that I had there, Shawn Cook, Rob Roots, Chris Cutino, people like this were all really important. If I had to highlight one, it would be Matt Melnick who was the VP of sales at Vocus during my tenure there and taught me a lot about sales but also took a real human approach and is still somebody I reach out to till today around things in my personal life, professional, ideas I want to bounce off of him. Definitely someone that stands out as someone who’s been very influential in my career. Fred Diamond: What are some of the things that you do today as a sales leader? When we talked before the show you mentioned that you manage somewhere over 30 people, I guess. What are some of the things that you see in yourself, Tristan Cotter, as a sales leader that you got from the mentors? Tristan Cotter: I think it’s a people driven approach to management and leadership and looking and humanizing what can be a cold business and making sure that people are the front aspect are the most important parts of a business and really having a human approach to caring about each person on the team and making sure that they are aligned around the goals. I think that’s one thing that I’ve tried to focus on a day to day basis, is taking a human approach to the personnel and to the people while aligning it with the business goals that we have to achieve and explain the why behind those and making sure we’re all marching in the same direction. Fred Diamond: Very good. Speaking about that, you’ve had to deal with challenges, of course and a lot of things going on in the market. What are two of the biggest challenges you face today as a sales leader? Tristan Cotter: I think you mentioned one of them, is just the speed at which how quickly things change. Especially in being in the software and tech space, our own product and company is innovating at such a rapid pace so you need to stay on top of and be updated on all the different things that our own product is doing and changing on a monthly and quarterly basis. And then the same way that we’re innovating there’s others in our space that are also doing that so competitively staying on top of the game. Then there’s the sales tools and technology, there’s processes, you have to continue to evolve so I think staying on top of how fast things are moving is certainly one of them. The second one is staying out of meetings [laughs]. As a sales leader, you can get pulled into a lot of meetings and one of them is protecting your time so you can spend more time with your team and so I think that’s probably one of the other challenges that you face as a sales leader, is how do you balance your strategic responsibilities with making sure you’re staying both customer and also with your team. Fred Diamond: Tristan, take us back to the #1 specific sale success or win from your career that you’re most proud of. Take us back to that moment. Tristan Cotter: The first one that comes to mind is the biggest deal that I ever sold up until this point which was a big outlier deal. At the time, this was at Vocus, the average deal size was somewhere between 7 and 10 thousand dollars and I ended up selling and closing a deal that was about $120 thousand. It was at the time the largest deal and that segment of the company’s history and it ended up propelling into a huge year that allowed a lot of doors to open for me and make a name for myself. It’s one of the first deals that comes to mind as the big deal that I still think about to this day. Fred Diamond: You said the average deal size was about 7 thousand, you sold a deal for about 120 thousand. That’s almost 20 times that, what was it that allowed you to sell such a humongous deal in the company’s history? Tristan Cotter: With any of these things, some of it’s fortune and good luck that you come across this opportunity and then you’re ready to make the most of it. I think like any great sale it starts with discovery and that’s where you’re going to expand and be able to find the larger opportunity. I don’t believe it started as a $120 thousand deal. It started as something that looked a little bit smaller and then the more questions that you ask, you open up additional opportunity and that’s an important lesson that you learn and you keep with to this day. I think if you talk to anybody on any of these podcasts, probably most people will relate back to discovery as being the most important part of the process. Fred Diamond: That’s true. Obviously, everybody loves the rush of the close and things like that and the ability that brings you but most of the Sales Game Changers we talk to, they really do enjoy the process. They love talking to customers, they love the questioning, they love solving the problems, if you will. How does that relate to you? Tristan Cotter: [Laughs] I think that that’s totally true. I think that the fun is in the process and the closing the deal is just the end result that most of the hard work was done on days that you didn’t even see. My favorite days that I felt the most productive were days that I closed no deals because I knew that I had either added something new to my pipeline or I had advanced something in a meaningful way and probably I advanced or introduced several new things and I was extremely busy and productive. The days that I actually had the biggest closing, days may have been my lowest actual level of input and productivity. Fred Diamond: I got a question for you about that. You mentioned that you manage a lot of millennials in sales. There’s a process that’s going to take for people to purchase your stuff so tell me about how do you continue to motivate your team when they’re not closing deals every day and there’s not a big close along the way and you know with all of your experience that this may be a three month type of a thing. How do you keep them motivated, how do you keep them excited to stay on the path, if you will? Tristan Cotter: As a Philly guy you may have heard of this phrase which is trust the process. Fred Diamond: Trust the process. Fred Diamond: Just curiously before we ask you a quick question about your career, what does the ideal sales professional look like for what you sell? What type of personality traits, what type of skills do they need to have to be successful? 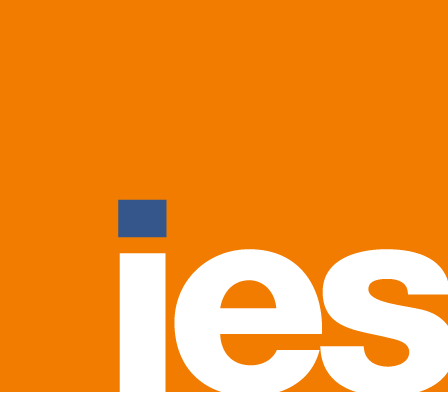 Tristan Cotter: I really identify with some of the findings from Hubspot’s big book and it is more of the category or the characteristics of someone you might find in a consultant rather than the sales closing skills, etcetera. I’m looking for somebody that’s first and foremost hardworking which is sometimes hard to identify in an interview process but it’s got that undefined fire in their belly that are not going to be stopped and that they’re determined or disciplined. Second thing is this is not necessarily the next two characteristics, not necessarily something that most people associate with sales people but are really important to me when I’m identifying talent is people that are really smart and people that are really creative. I don’t mean that to take away from sales professionals but I don’t think that creative and smart are necessarily the first two things that come up on most people’s list but you absolutely need to be both of those things to be great at sales. Fred Diamond: Did you ever question being in sales? You got into sales relatively quickly. Was there ever a moment where you thought to yourself, “It’s too hard, it’s just not for me”? Tristan Cotter: Of course. I think everyone in sales if you’re being honest has had that moment at some point and this is probably a pretty common answer as well. It’s tough, it’s a grind, it can be tough especially on the first day of a month when it goes back down to 0 after all the hard work and the excitement has worn off. The celebration and the hangover on a Tuesday at 10:15 am when you have to pick up the phone and you have to do the small little things, I think that most people question that. But at the end of the day I love what I do and I’m reminded of that pretty quickly with the people that I work with, the energy, the excitement, the creativity, the strategic nature of seeing you put a plan together and the ownership that you can see with your results from the hard work and also that you can run a small – it’s very entrepreneurial and I love that about sales. My father is a small business owner and a lot of that entrepreneurial spirit is in myself as well and I love that you feel like you can run your own small business with a lot of the overhead and the research development, the product development all taken care of and you can just run your own business, and I think that’s another great lesson for young people that are just starting down their sales career is to focus on envisioning this as your own small business. Fred Diamond: That is a great answer. You know what? It’s your career. GoCanvas can do whatever they can do, we’re actually broadcasting today’s podcast from the offices of GoCanvas. There’s a lot of energy, there’s free food, there’s free things that people can eat here during the day, there’s games going on and stuff like that if you will, but you know what? It’s your career. What are you going to do to be successful, how can you think of different things. Tristan mentioned trust the process but at the same time it’s up to you to do the things necessary to be successful. Tristan, what’s the most important thing you want to get across to junior selling professionals to help them improve their career? These things again, have a way of working themselves out. You’re going to be able to maximize your earning potential. The things that you set yourself up in your 20’s are going to really maximize your earning potential in your 30’s and the great thing about sales as a career is that you don’t have to wait till your 30’s to earn. You can earn and learn in your 20’s but I think it’s a great way of approaching any decision, especially in your 20’s. Learn and experience and try as many different things early on and you’re going to be set up to be in a great place from a financial standpoint in the future. Tristan Cotter: I’m constantly learning, whether it’s from my team, whether it’s networking with other sales professionals, business professionals. I listen, I have a commute into work every day and I try to maximize that time with podcasts and books on tape, I make a lot of phone calls during that time as well. It’s just constantly looking for self-education and also I subscribe to a lot of E newsletters and on twitter follow a lot of thought leaders and read a lot of blogs. It’s all about constantly learning and staying sharp. Tristan Cotter: We’re doing a lot right now in terms of testing and trying new things and one big area that I recently got involved in was getting more involved inheriting the channel side of our business. The majority of my career has been focused primarily on direct business to business selling and the channel is a really interesting new challenge and opportunity with a lot of the same overlapping characteristics and fundamentals but with some really interesting new nuances that have been a lot of fun digging in over the last couple weeks and months of putting together a good strategy around it. Fred Diamond: Who’s in your channel? What are some of the channel type of providers that you’re looking for? Tristan Cotter: Mainly telecom, so in the US Verizon and Sprint and the internationally in the Apec region groups like Telstra, Globe, etc. Fred Diamond: OK. Tristan, you’ve given us some great insights here and we really appreciate all the things that you contributed to today’s podcast but sales is hard, people don’t return your phone calls or your emails or your texts. Why have you continued? What is it about sales as a career that keeps you going? Tristan Cotter: Motivated to be successful, this is one really important question that I ask on every single one of my interviews is a pretty basic one which is are you someone that loves to win and hates to lose? And I’m looking for people that hate to lose and I’m motivated by the fear or the chance of failing and so I’m passionate about helping other people achieve their sales goals and I’m really passionate about helping a business and customers achieve both of their goals. Matching what the impact it is that we can make within these roles with what I’m trying to achieve from a professional level and hating to lose, those two things drive me on a day to day basis. Fred Diamond: Why don’t you give us a final thought that we can share with the Sales Game Changers listening to today’s podcast? Tristan Cotter: A last thought is just invest in yourself, that nobody is going to care when you’re in the ocean whether you drown or you swim to the shore, I think that that’s a good analogy here as well. You have to take control of your own destiny and success and you have to invest in yourself and even if you feel like you’re having success, you need to continue to stay sharp because things change really quickly so take ownership, manage your own business like it’s a small business and continue to improve and educate.